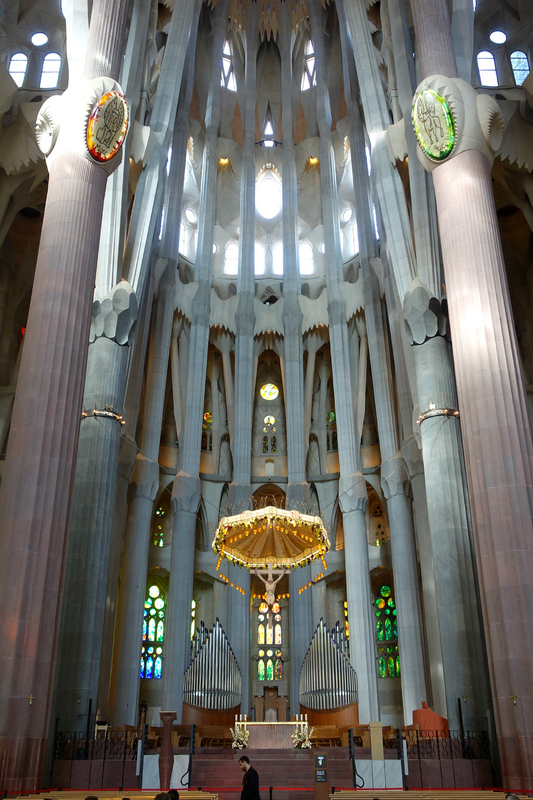 The highlight of our Spanish road trip to Barcelona was our visit to Gaudi’s masterpiece, the Basilica De La Sagrada Família. 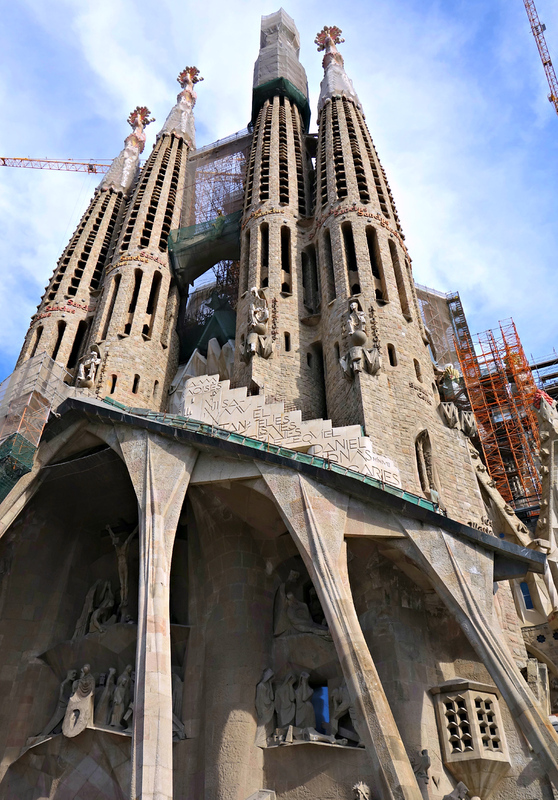 Probably the world’s most famous construction site, the church was begun in 1882, and is expected to be completed for the 100th anniversary of Gaudi’s death in 2026. Today it is unusual for even major buildings to take more than a few years to complete. 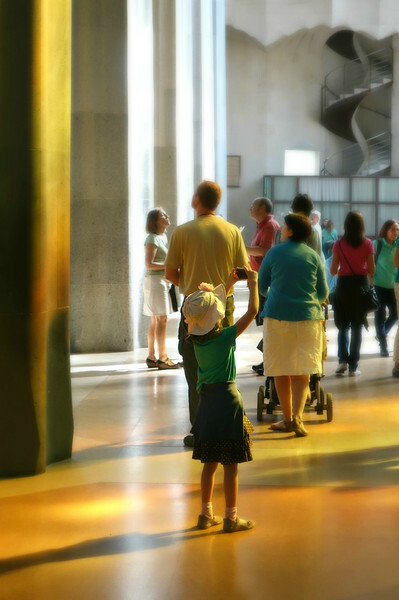 Technology has sped up the building process, but fine craftsmanship and details take time, and that type of work is rarely found in modern buildings. Seeing the church both inside and out was awe inspiring. 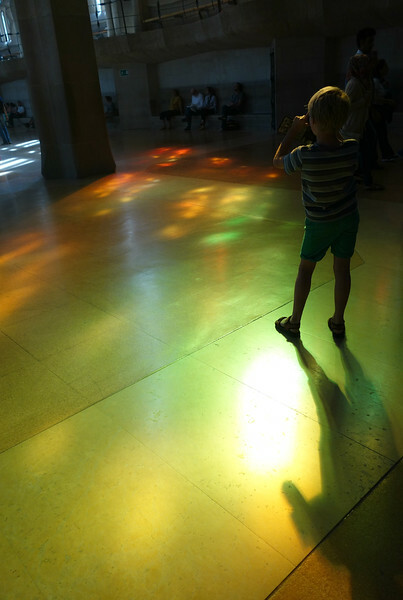 It is unique among churches, cathedrals, and architecture in general. We were there for several hours and could have stayed longer to appreciate all the details and symbolism. 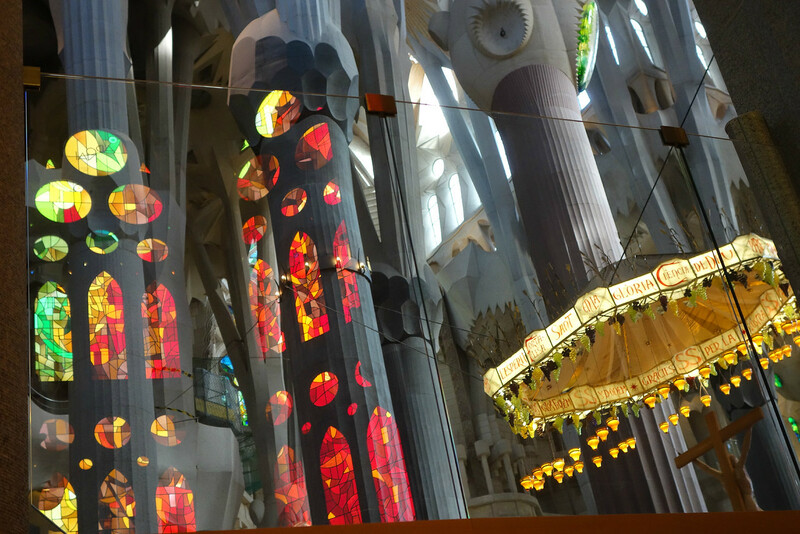 If you go, the audio guide is excellent, and make sure to visit the on-site museum to learn more about Gaudi and his work. 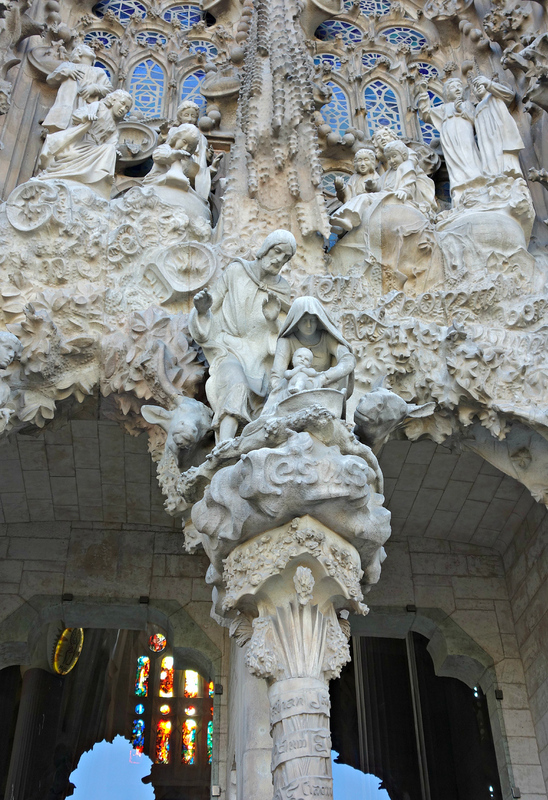 The Nativity Façade celebrates the birth of Jesus the Messiah, and represents life and joy. 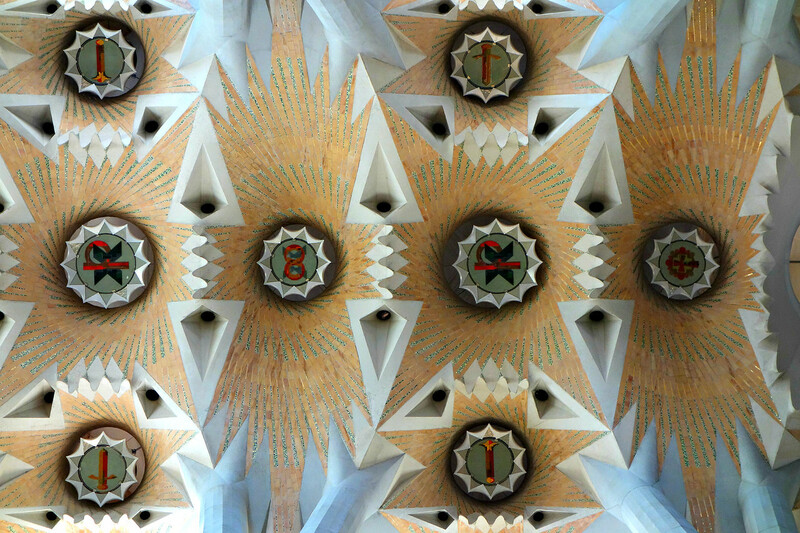 The Sagrada Família was begun on March 19, 1882, from a project by the architect Francisco de Paula del Villar. At the end of 1883, Antonio Gaudí was commissioned to take on the project, which he continued until his death in 1926. 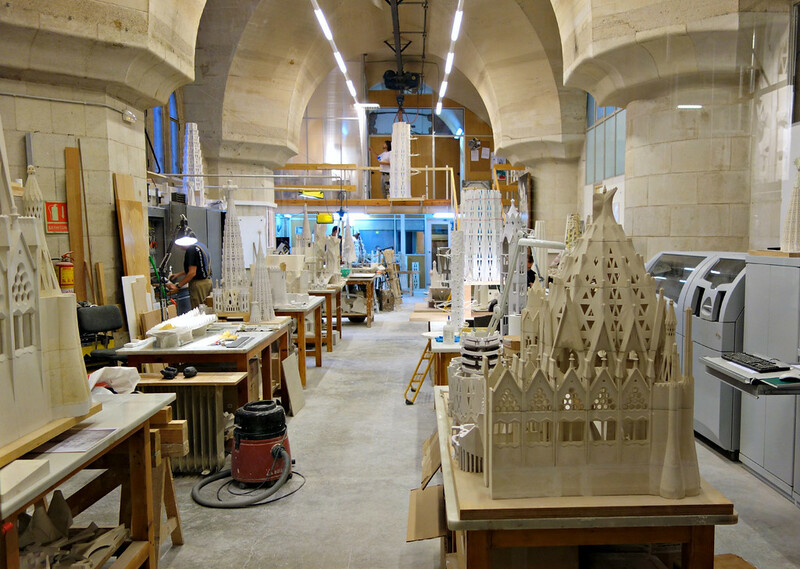 Since then different architects have continued the work, following the guidelines set out by Antoni Gaudí. From its start, the church has been funded through donations and today also ticket sales from visitors. 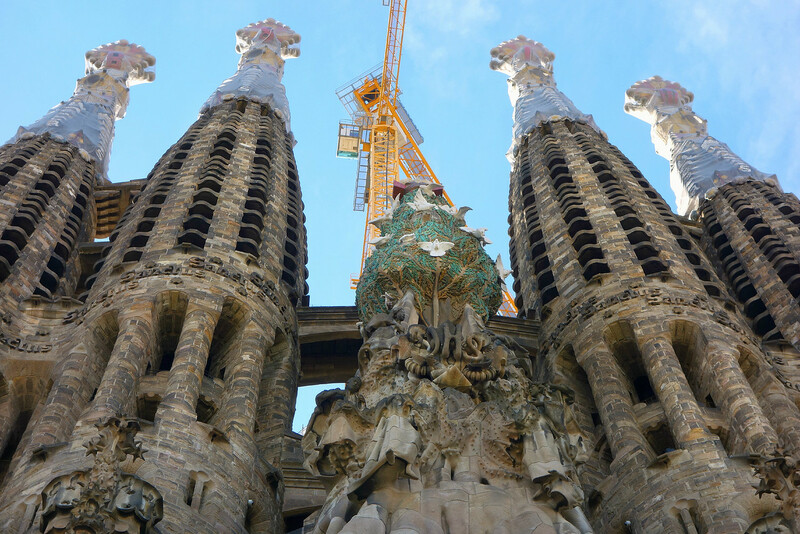 When the church is finished it will have 18 towers: the highest adorned with a large cross representing Christ, one to Mary, 12 dedicated to the apostles, and 4 to the evangelists. It can hold 15,000 people, and a choir of 1000. Part of the joy was watching other people’s reactions as they entered the church. 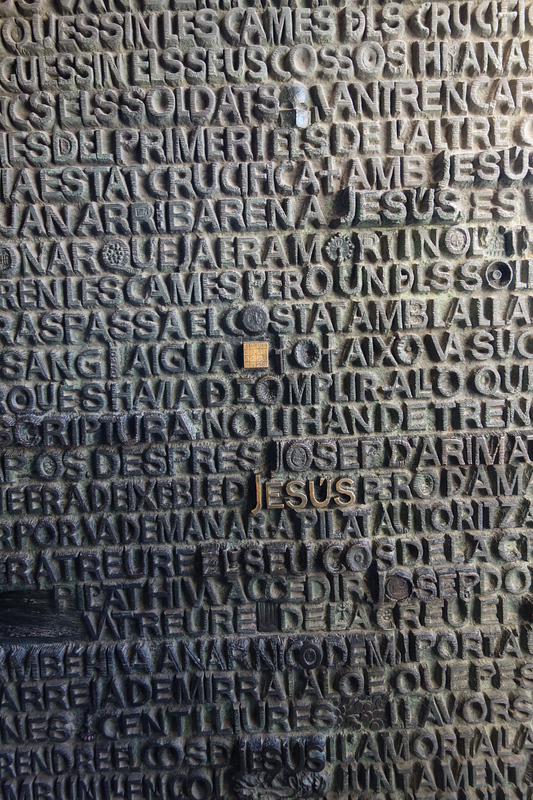 Its doors at the main entrance are printed with words from the Bible in various languages including Catalan. 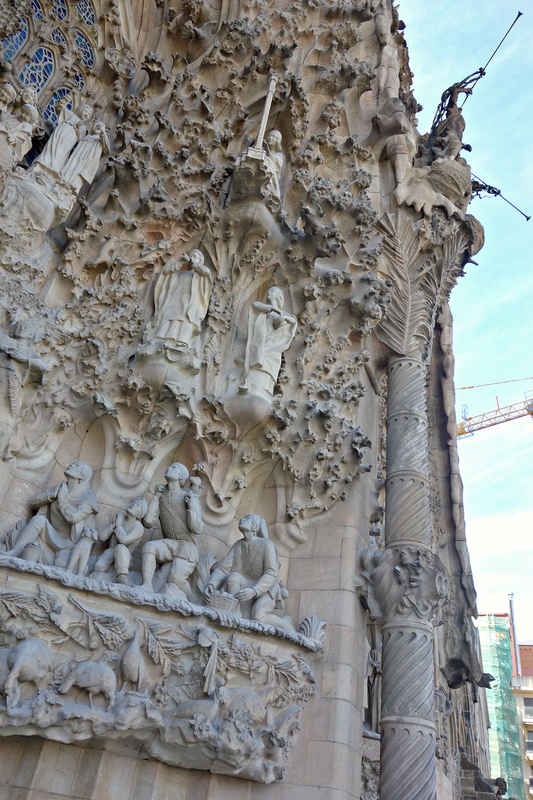 The nearly completed Passion Façade, in contrast to the Nativity Façade, is stark with bone-like pillars. Fitting, as it represents the suffering and crucifixion of Christ. 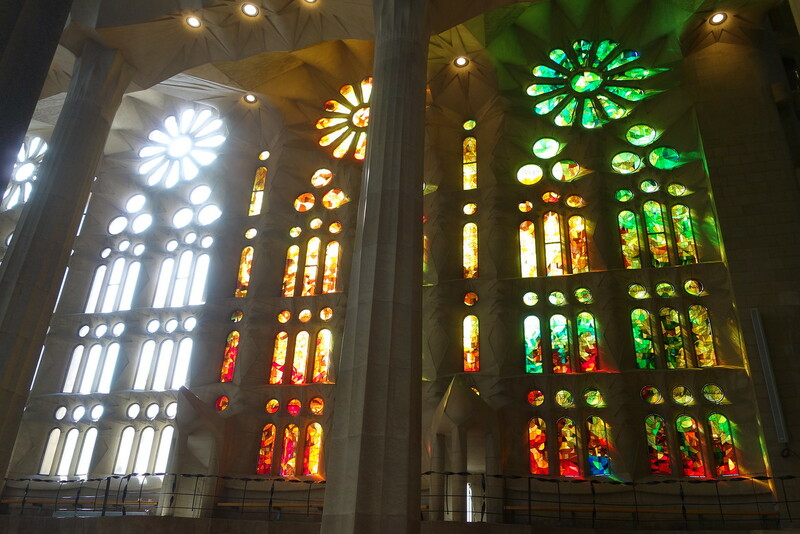 The Glory Façade, which is the main façade, will be the last to be finished. 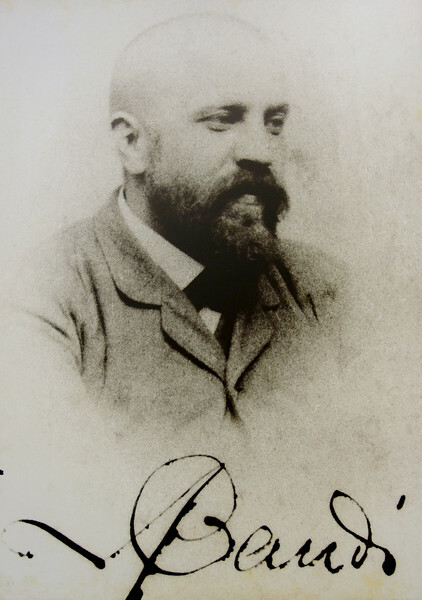 Antoni Gaudí (1852-1926) was a Catalan, born in Reus, a small town south of Barcelona. He went to Barcelona to study architecture, and upon completion of his studies, the director of the school commented “Today we have given an architecture degree to a madman or to a genius”. 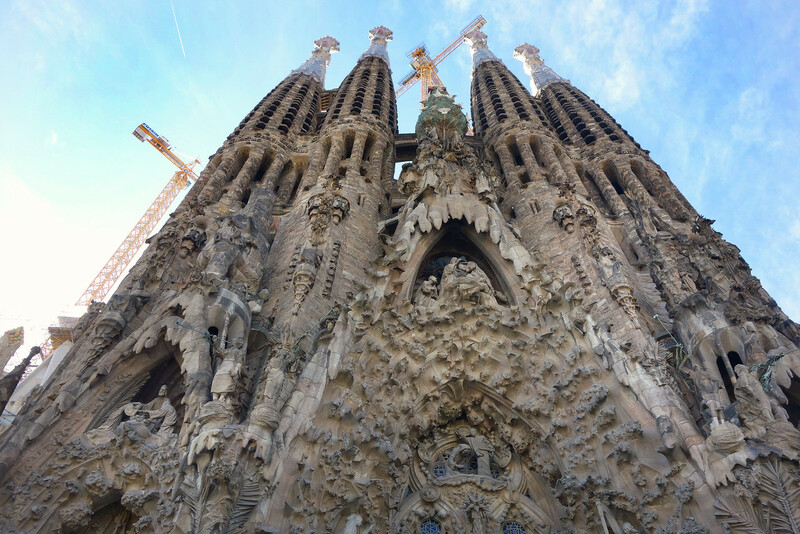 Entrepreneur Eusebi Güell met Gaudi after seeing his work at the Spanish Pavilion at the 1878 World Fair’s in Paris. He became one of Gaudi’s best friends and clients, allowing him to develop his style on projects without interference, including Park Güell. 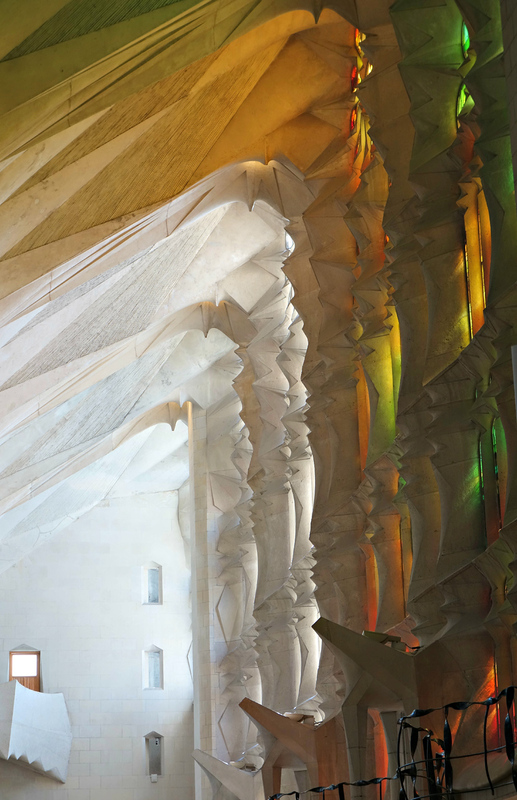 Gaudi took on the Sagrada Família project at the age of 31. 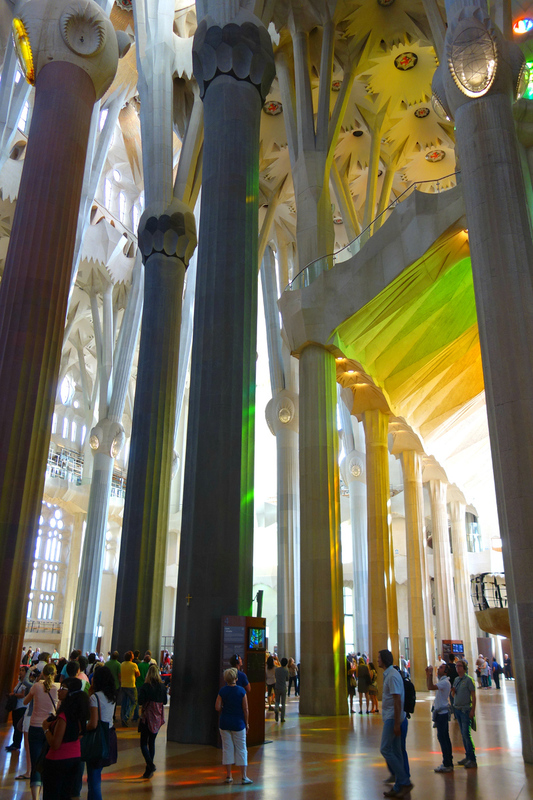 He was one of the world’s most outstanding architects and one of the Barcelona’s most well known residents. Seven properties built by Gaudí in or near Barcelona are on the UNESCO World Heritage list, and his work is one of the city’s main cultural attractions. Gaudí’s work is exceptionally creative, and he furthered the development of architecture and building technology in the late 19th and early 20th centuries. 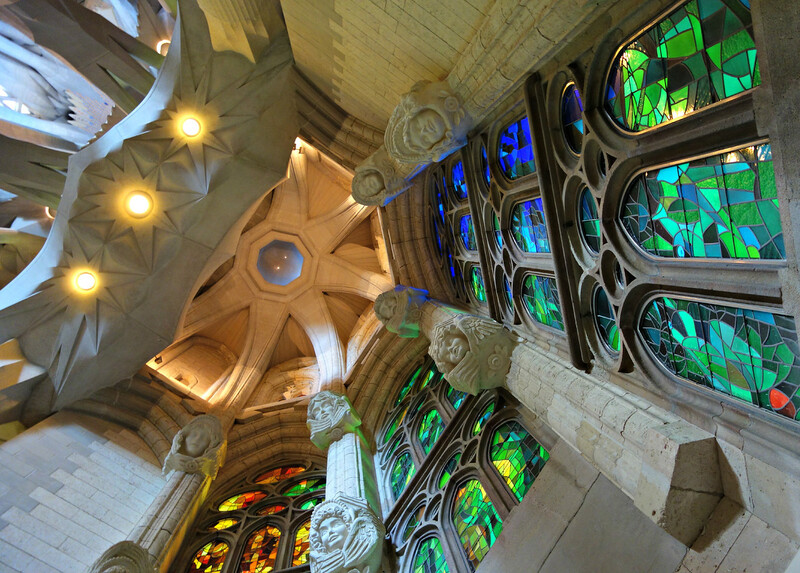 Gaudi was inspired first by nature, but also by art nouveau, gothicism, surrealism and modernist styles. 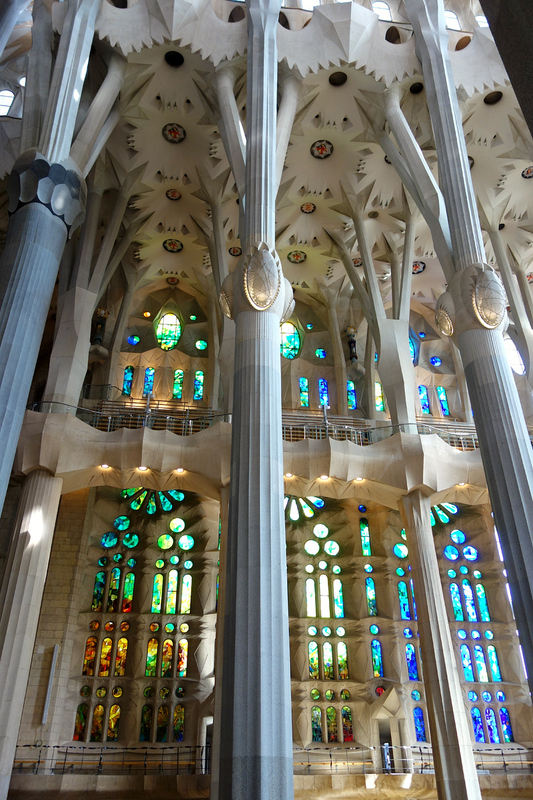 Gaudí was a devout man, attending church twice a day, and believed his architectural ability was a gift from God. 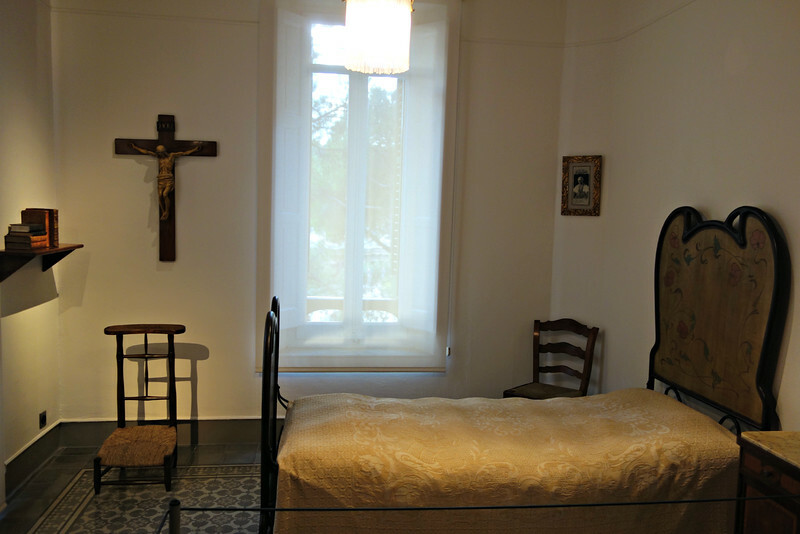 Gaudi’s room, in the house where he lived in Park Güell – today the Gaudí House Museum. Even though he created buildings and objects of beauty, he lived a simple life with few possessions. 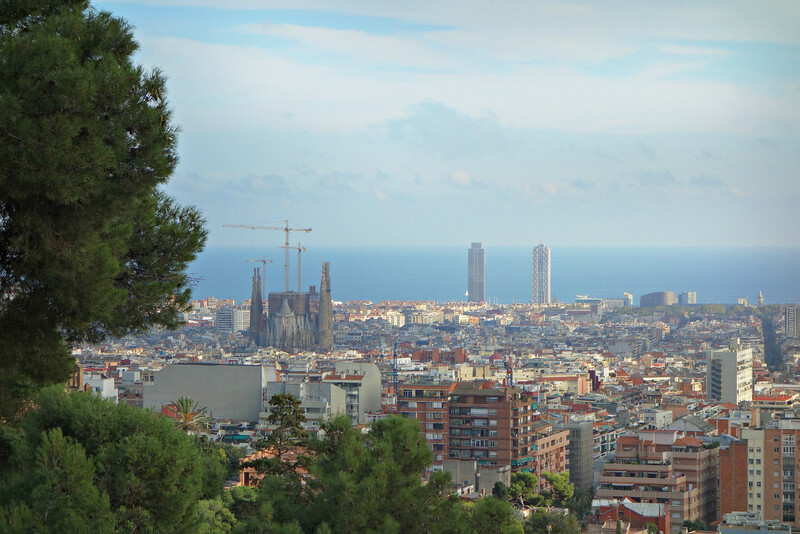 A view of the Sagrada Família from Parc Güell, over-looking the Mediterranean Sea. 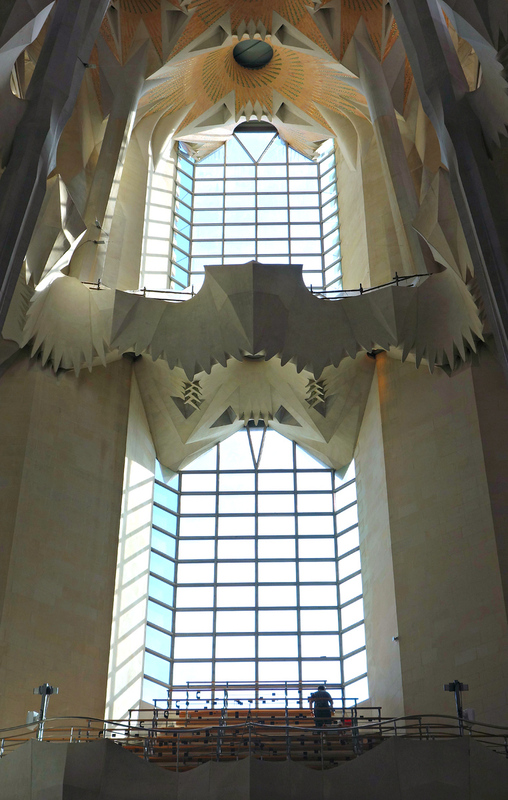 The design of the Sagrada Família is challenging and still somewhat controversial. What’s your opinion?